Soon many of us will be tempted to make new year resolutions. Perhaps you’ve been egged on by someone who successfully managed to keep theirs. Or perhaps that reflection time you got over the Christmas break has made you renew old resolutions with more, well, resolve. Or maybe it’s just that you need those resolutions because you don’t want to appear lazy. 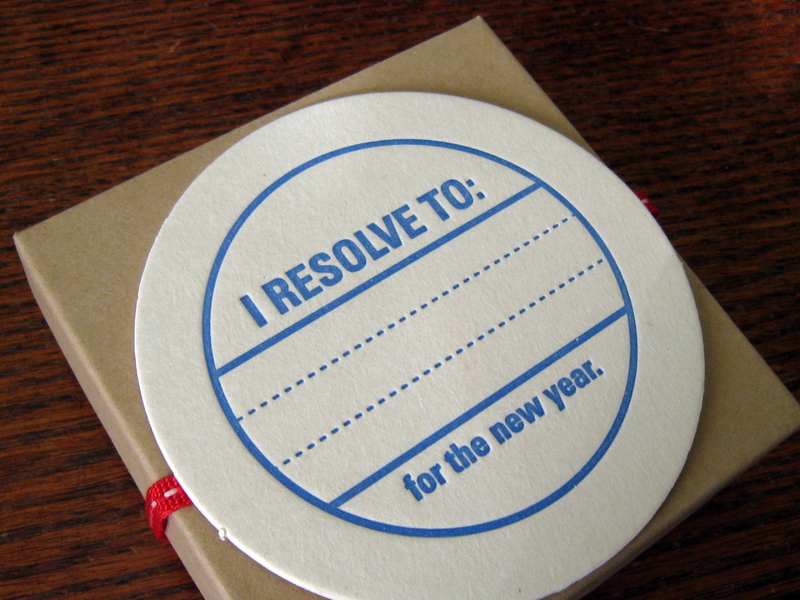 Rationally speaking, any given time of the year should be a good time to make resolutions. But the new year tempts us to believe that it is instead the best time for resolution-making. It’s marked by celebrations with friends and family, who often have advice on which resolutions work and which don’t. Some even have tips on how to make sure you stick to them. 77% participants kept their primary resolutions for one week. 55% for one month. 40% for six months. These success rates were probably elevated because of volunteer composition, self-reporting and study’s demand characteristics. Even without the caveat, the research says that nearly half of all participants were not even able to stick to their primary (ie the most important) resolution after a month. Psychologists find that the most common reason we cannot stick to our new year resolutions is because we choose resolutions that are radically different from our current lifestyle. For instance, the most common resolutions are to exercise every day or, in case of smokers, to stop smoking altogether. At the heart of keeping resolutions is the art of self-control that decades of study have shown is a limited resource. The sort of new year resolutions we choose tend to require a lot of self-control, which means they are also the easiest to give up. And, even if we leave science aside, I contend that nothing more than your own personal history of sticking to new year resolutions is needed to convince you why this year’s resolutions should be different. So what’s the alternative? The better thing to do is to resolve to multiply what you are already good at. In any given year, however good or bad it has been, there will always be things that you did that worked quite well and vice versa. The good bits may have come to you naturally, or maybe you had to work really hard to get to them. Either way, to better what you’re already good at is easier and requires less self-control to achieve. It may also bring in more positive results than you think. When we make resolutions, we solely focus on our weak points. That is of course what we think will bring us the most gain. If we were able to stick to our resolutions, working on the weaknesses would indeed bring huge gains. But because our resolutions fail so easily, it is better to choose the low-hanging fruit for now. This is not to say that you should not aim to make fundamental positive changes to your lifestyle. You should but you would be more successful if you choose to do that later on in the year. All the articles coming your way about new year resolutions would be better used then! Orthogonal to improving your strong versus improving your weak is something else you refer to: how often. In my case annual resolutions were either too big, too vague or quickly irrelevant. For the past couple of years I’ve been doing it half-yearly and SMART, and so far (qualitatively) it’s been very successful. Just my two cents anyway. Yup, definitely agree to that. While I don’t have a regular pattern for my resolution-making, I often combine a new experiment with a resolution. Usually they’ll be two things that can work in combination, one which we know has been shown to work (resolution) and one which some say might yield benefits. For example, meditation and working while standing up. Gamification, not surprisingly, works. Interesting – how have you gamified resolutions? Was it social at all or purely personal?